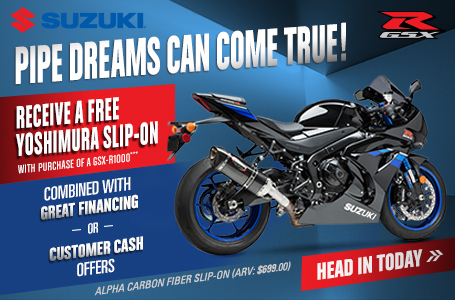 The 2016 GSX-S750 provides a striking combination of unique styling and proven performance. One look at its chiseled headlight, fuel tank and tail section and you know this is a bike like no other. Its 750cc fuel-injected inline four-cylinder engine has been engineered to produce strong low-end torque and mid-range power for exceptional acceleration, while its inverted fork and combination cradle-tube & twin-spar frame rewards you with precise handling. Automatic Idle Speed Control (ISC) improves cold starting and stabilizes the engine idle. Iridium type spark plugs provide a more condensed and hotter spark yet last longer than convention plugs. 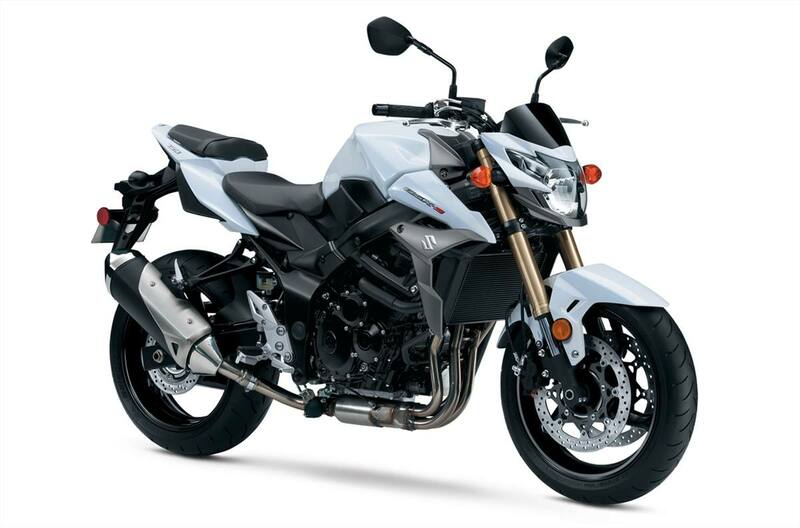 Effective engine management, emission control systems, and Suzuki Pulsed-secondary AIR-injection (PAIR) system that injects fresh air into the exhaust ports, allow the GSX-S750 to meet the latest emission standards. Dual front brakes with fully-floating 310mm discs and dual-piston calipers and a 240mm rear disc brake with single-piston caliper helps make sure you can have controlled stops. Inverted KYB forks feature a design developed in racing and are essential for a serious, high-performance machine. Carefully sculpted aggressive front bodywork and side panels make a brash statement about the bike’s ability. Further cues to its performance potential are in the vented front fender, molded mirrors, chiseled fuel tank, and textured tank side panels. Distinctively shaped headlight cowl contains a bright 60/55W halogen bulb and integrated dual position lights. The angular tail section houses an integrated LED taillight. A compartment underneath the removable passenger seat can be used to store small items. A variety of Genuine Suzuki Accessories for GSX-S owners are available including a large selection of Suzuki logo apparel. This model is not available in California.